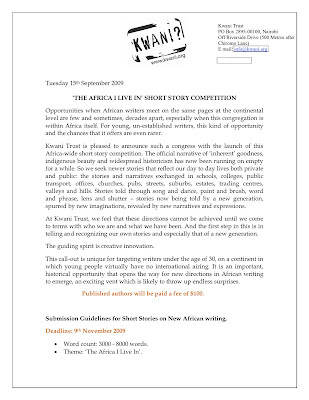 The excellent and ever effervescent Kwani posse, our publishing brothers and sisters out East, have had a fabulous idea - a pan African writing competition. Click to enlarge and read. Go forth and submit, dear readers!